In the age of music streaming giants like Spotify and YouTube Music, there are quite a few of us who still like to carry their music with them, offline. These are old records that are either difficult to find elsewhere or too precious to be sent to the recycle bin. Either way, we audiophiles have a music player app on our Android and like to listen to songs offline. The only trouble is that the music player will scan all audio files, in all formats, on the smartphone and display them for us to listen. Case in point, calls recorded. My music player app thinks that I would like to listen to all the calls that I have recorded in between my music sessions. This can be both frustrating and annoying as hell. You would think that after all these years, they would be able to make the distinction, but no. Today, we will see how we can hide certain types of audio files from appearing in our Recently Added playlist! Audio files are nothing but a particular type of media file. There are ways to hide media files that are stored inside a folder on your smartphone’s internal memory. The only problem is that they have not made it easy to discover or even understand. On the plus side, the trick to hiding these media or audio files stored inside a folder is easy to implement. Launch your favorite file explorer app. 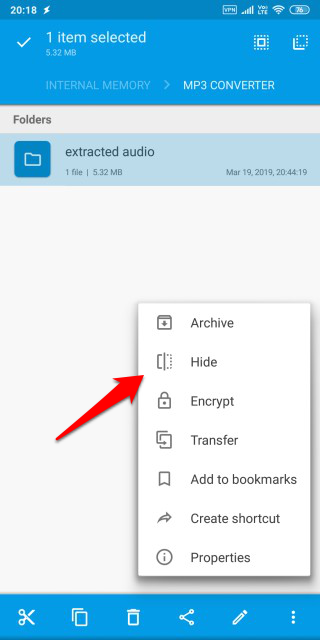 If you are using the default file explorer app that shipped with your smartphone then I would suggest you download Solid Explorer or FX Explorer. Both of them are powerful, easy to use, and offer features that would come in very handy, including hiding audio files from the music player. 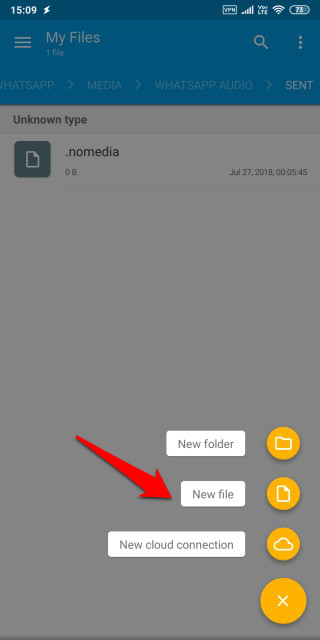 Inside this folder, tap on the ‘+’ icon and select New file. Now name this file as .nomedia (including the period) and save it. Note that the file is empty and that you don’t have to write anything inside it. Just name it as I said and save it inside the folder which contains the audio files. 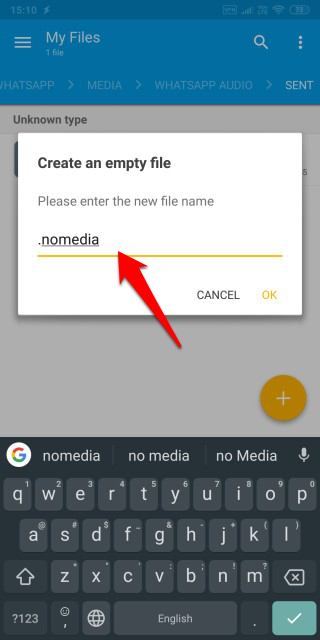 You will now repeat this process and create an empty file with the name .nomedia in all the folders for all the apps that show unwanted audio files inside your music player app. Once you are done creating the necessary files, reboot your smartphone once and check if you can still see the audio files or not. If you can still see the audio files then it is possible that they are the cached version of the files that you have now hidden. 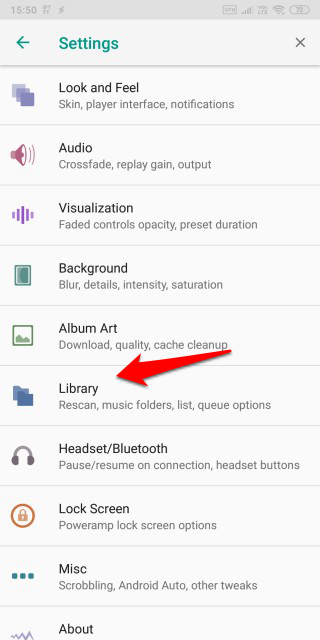 This means you will have to clear media storage cache in order to remove them from the music player app. To do so, open Settings and go to All Apps where you will see Media Storage listed. Tap on clear data and select Clear cache in the popup that follows. 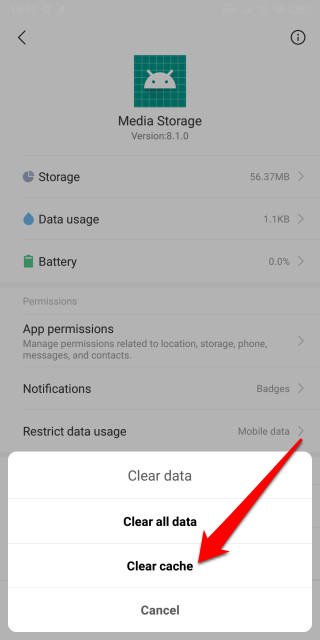 Do not tap on Clear all data as that might delete all the data including files and whatnot from your media storage. You don’t want that, do you? After the cache files are deleted, reboot your smartphone once again before checking the music player app for unnecessary audio files. The default music player app that ships with smartphones are often less than stellar. Mostly, they are mediocre. There is a reason why the Play Store is full of 3rd party offline music player apps. Some of these apps come with a feature that allows the app to look for music files inside particular folders only. This can be a boon for many of you who are seeing irrelevant audio files in their music apps. One such app is the Poweramp. There are many others like it out there like BlackPlayer and so on, but I like Poweramp because it is beautiful and comes with a really powerful equalizer to boot. 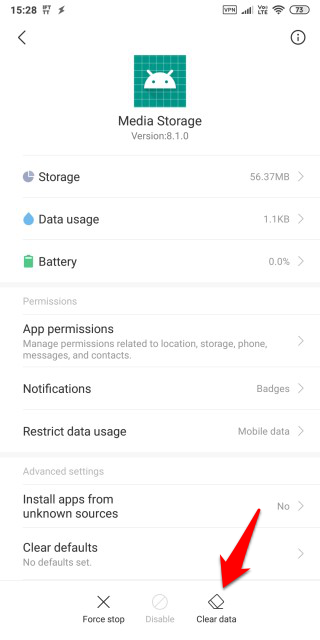 Depending on the app you are using to listen to music on your smartphone, this setting may or may not be present and if available, it may be located in a different place inside the settings menu. 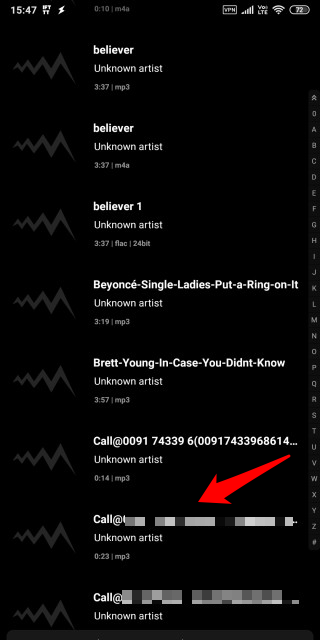 In Poweramp, you can see that call records are showing up along with my song collection. In Settings, tap on the Library option. 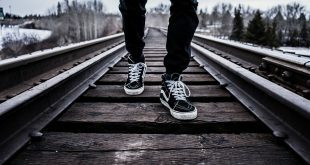 Here, you will find all sorts of options and settings to control your music library like choosing music folders that you want Poweramp to scan for audio files, ability to ignore video files if you don’t want to play music videos, import/export playlists, and rescan the library after you have added new music tracks. 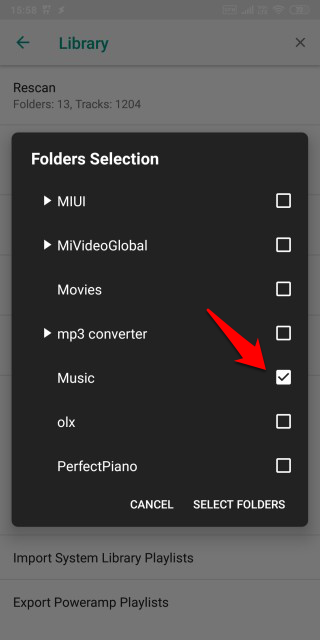 We will select Music Folders option for the purpose of this guide. You will now see a popup where you can select all the folders where you have your music tracks saved leaving rest of the folders unselected. After you are done, tap on Select Folders. This will prompt Poweramp to rescan the selected folder and remove all the previous audio files that it had scanned. You should now see just your audio tracks devoid of any unnecessary audio files that you do not want to listen to. This is the last trick in the post. While the previously mentioned two methods are more suitable for most of you, some of you might find this one more appropriate. Do you receive audio messages or files that are sensitive in nature? If so, you not only want to stop these audio files from appearing in your music player app but also hide them completely from the file explorer app so that no one is able to view or access them. Again, there are many apps that you can use to hide or lock files but I am going to stick with Solid Explorer. Browse to the folder containing the audio files that you want to hide. You can also use this method to hide individual files selectively inside a folder. Depends on your need really. Long-press of the folders/files to show hidden options. 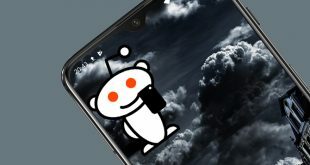 Tap on the menu icon and select Hide. This will hide the folder and all the files saved within. Now, when you open the music player app, you won’t see these audio file formats with your songs. As you can see, this method is not suitable for everyone but for those who have sensitive and private audio files that need to stay away and hidden from prying eyes. 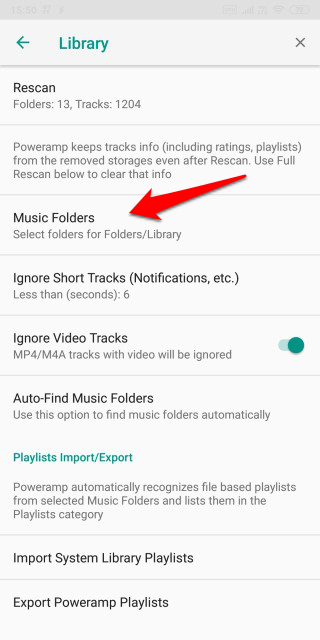 Here were 3 simple yet effective ways to hide audio files in the Android music player app. Honestly, it shouldn’t be up to the user to do something as technical and time consuming as that. Audio player should take care of this natively. But since they don’t, I would recommend you to download Solid Explorer or another premium file explorer app. I would also recommend you to download and install a feature-rich music player like Poweramp. These two apps alone will solve most of your audio file management issues. Previous How to Remove Saved Login Info on Instagram iOS App?